Get ready to dive ears first into the intersection of electronic and acoustic music as we kick off our tri-continental tour in style with a stellar line up in Moscow. Detroit hero Derrick May will be heading up the bill with support from Irish sensation Or:la. Bringing the live element to life in Moscow is UK duo Overmono, as well as Russia’s very own PTU and Pavel Dodonov. 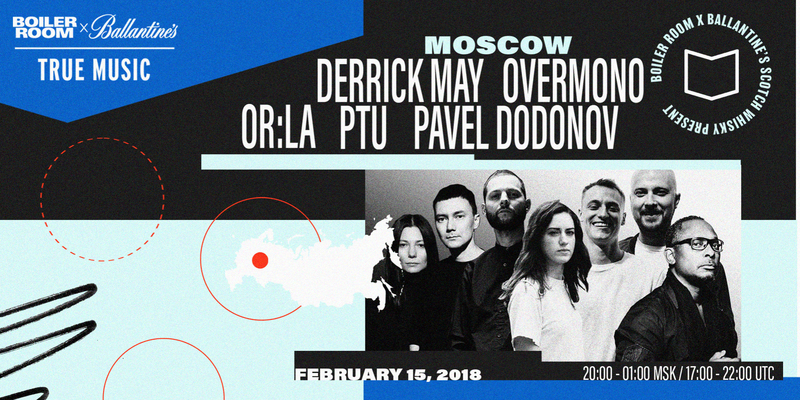 Get ready to explore the intersection of electronic and acoustic music as True Music: Hybrid Sounds kicks off in Moscow with UK electronic duo OVERMONO and Russian saxophonist, Solo Operator.